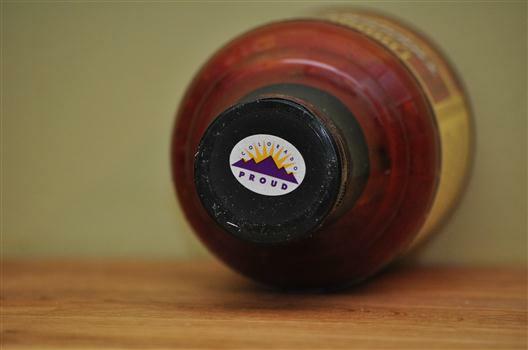 This sauce was created in 1988 by Jim Phair in Denver, Colorado at the prodding of his friends who he wanted to show friends what a BBQ sauce could be. 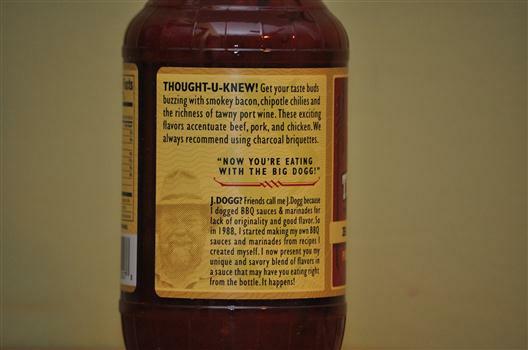 He got the nickname J Dogg because he was always “dogging” other BBQ sauce makers for their lack of originality and quality. After a grilling session with my trusty Charbroil and GrillGrates, this sauce transformed from a simple tomato/vinegary sauce to something wonderful with hints of port chipotle and yes, BACON. Look at the chunk in the picture below. Now there’s plenty of sauces with bacon in them and I’m slightly ashamed to admit this is my first experience with a bacon BBQ sauce. Even without that prior experience, I have to say this one is done right – they didn’t just pour bacon bits in the bottle, they added chopped up chunks of real bacon to the mix. It’s also the first sauce I’ve tried with port wine, port extract and Mirin (a rice wine like Sake) in it. This makes for a really fun consistency – try to pour a bit of this on a fork and see how your makeshift sauce dam collects good sized chunks of bacon and pepper. Once you start munching on the bacon, the chipotle kicks in and the heat starts trickling up your tongue. And once the heat starts kicking in, you’ll noticed the other complexities to the sauce including molasses, tamarind, garlic, worchestershire, sesame oil, onion, and much more. They use very high quality ingredients (but they are not in your face about it claiming health benefits – after all there is bacon in the sauce). Their bottle says “we always recommend using charcoal briquettes” which says a lot about the kind of cooking they’d like you to do with their sauce. Their love for their customers shows and it’s a sauce I can recommend without any reservations (unless you don’t like bacon). So I guess there isn’t anyone willing to try this amazing sauce and post a comment. So what’s up with that? Just now found the review, dog. Give me a chance! I will give it a try. Is it sold retail anywhere in Northern California? Is this available in Canada yet? It’s available online anyway. Only in retail in Colorado I believe. 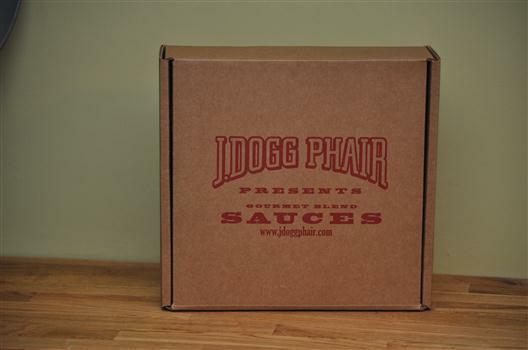 We do have an online store at http://www.jdoggphair.com. Please check it out. For orders to Canada, we should be able to make that happen. Please send us a message here: http://www.jdoggphair.com/contact_us.html for details. Thanks! 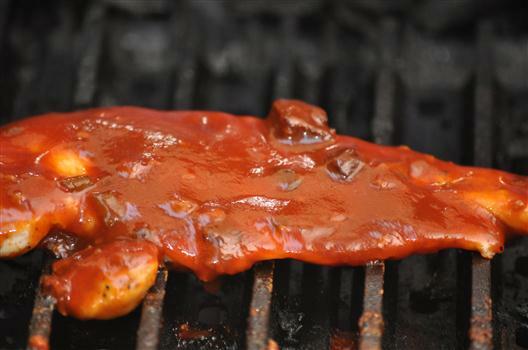 Bacon and BBQ sauce, I’m not sure it could get any better. 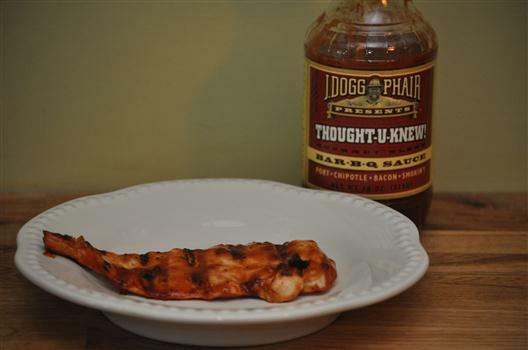 My husband actually BBQ’s bacon and I bet this sauce on it would be to die for. This sounds like no sauce I’ve ever had. I’m also not crazy about vinegar sauces (I live in South Carolina), but this one sounds complex enough to balance out the tendency of vinegar to dominate. I’d definitely like to try it. Enter coupon code: BBQR2 at the time of checkout. Discount valid through March 24th. Email me if you have any problems ordering, thinton@jdoggphair.com. Have to try some on smoked ribs! Eating the sauce now on a cast-iron seared burger. The wine and the peppers stand out on my palate, followed by the molasses sweetness. This is definitely not a one-note sauce! This won’t be a one-time-only purchase. Hi Rico – shelf life is 2 years. Here is our web site: http://www.jdoggphair.com. Even with the bacon? Do you guys do anything special to it before you put it in the bottle? 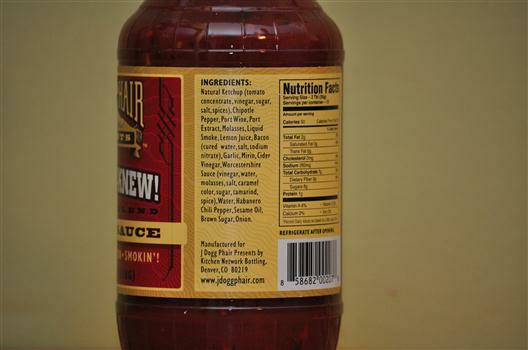 I’ve had BBQ sauce with bacon fat in it go rancid after a few weeks. We have had this product for 5 years and never had an issue. We have had this product tested by labs and it never came up rancid. We use a pre-cooked crumbled bacon and the fat is rendered out of it. The fat content is very low, and the bacon is very lean. Let me know me know if you have any further questions. Thanks! I’m demo-ing the Anything Goes! sauce/marinade with chicken strips cut into bites and in an electric skillet on Saturday in Aurora. I have read many websites including your original website, facebook and review blogs, so I have alittle information to share with customers. I, of course, will not be able to taste this before-hand, so do you have any tips I can share with customers? Like foods/drinks to pair with, which meats work best? Any other relevant information?